Torso pitch: -35° to +55° while standing. -35° to +65° while crouching. 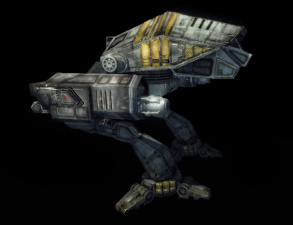 The Puma (Clan designation Adder) is a Clan Light Mech. All Puma variants lack Jump Jets and carry a Flamer, while some equip MASC giving them overall respectable maneuverability. Most Pumas are also equipped with GECM, allowing them to reduce the range at which they can be detected on Radar. Pumas do have relatively weak Rear Torso Armor, so care must be applied to protect this one major weak point. Like most Primes this is the most flexible design of the bunch due to its CERPPCs. Though prone to heat complications, chain fire should allow two and a half rounds of fire as soon as they are available. Close and long range fighting are both options due to the Window of Engagement being so short and splash damage very high. To take advantage of its strengths, hit and run tactics and a wide Staggered Approach with Eoptics are recommended to minimize danger of return fire. Also, using Flamers to finish off heavily damaged hostiles rather than a CERPPC shot will save heat. When facing this variant, use smaller, faster assets and close range quickly in an Angled Approach, then engage in a circle lock and wait for it to overheat and break off, then follow behind him keeping out of his poor torso turn. Heavier assets should keep in cover and fire on the the Puma from range before it has its own chance to fire. This variant is a slight tweak of the Puma Prime, with one CERPPC and the GECM swapped out for a CUAC10 plus one ton of free space at a significantly reduced c-bill cost in comparison. Heat is much easier to control in the Puma A, making it a more viable Mech on hotter maps, while reducing its vulnerability to Flamer attack. The A is weaker at extreme ranges without the second ERPPC and the Ultra AC10 has a longer travel time, making it more challenging to land shots at range. Like all Pumas, the centre torso Flamer makes short work of any Battle Armor foolish enough to attack it from the front. Where the Puma Prime and A use CERPPCs to dish out damage at range, the Puma B focuses on precision targeting at range with three CERLBLs, all while still being cheaper than the Prime. This setup turns the B into a well-rounded sniper, effective against Mechs, tanks and even aerospace assets. Like the Puma Prime, heat can be a problem, housing only 7 DHS if one were to alpha strike with the 3CERLBLs the heat spike generated would be 530.64, pushing your temperature to it's limit but dishing out a hell of amount of hurt. One can overcome this by using Chainfire or setting 1 CERLBL to 1MB, 2 CERLBL to 2MB, 3 CERLBL to MMB and Flamer to 4MB. The B also retains GECM and is well-protected from BA attack thanks to the Flamer. More of a hunter than the others, precision is needed as if you miss with even part of the beam, you will be punished with a heat spike and chain firing the lasers can lead to a long Window of Engagement and put you at risk. However, an alpha strike with the 6 CERMBL's focuses a total of 2178 energy damage on point, capable of destroying most lightly-armored opponents or disabling crucial components of heavier assets in 2 or 3 well-aimed shots. A Flanking Approach at long range hidden by your GECM may allow you to destroy crucial components on much heavier assets before they realize you are there. Both when using and fighting against this Puma, keep in mind extremely close range can make it difficult to hit with the lasers. Formery Close Range Assault Puma (C.R.A.P. ), named so in 0.5.0, now B.M.F. The D has extremely high pin point damage thanks to its two CHLL. Despite its 7 DHS which cools you fairy fast, both CHLL dish out plenty of heat, allowing you barely one alpha strike. To complicate things further, the Window of Engagement is extremely long forcing you to face your enemy for long periods of time. As the Puma is a very wide, lightly armored chassis, this is a worst case scenario and this variant is a high risk high reward asset. It is best used with heavier asset that will draw fire away from you, where return fire is minimal. A good second strategy would be guerrilla warfare, utilizing GECM and the low profile of the chassis to hit and fade before you take too much return fire. If you are caught by this Puma, quick swinging of the torso will spread the damage of the Heavy Lasers. Never look directly into this Puma's eyes for too long. However, be wary of the Puma predicting this and firing its lasers one at a time with the first acting as bait as a single heavy large still will inflict substantial damage if unmitigated. Best used at short range, the E has more flexibility than the other Pumas due to its MASC, the radar cover of its GECM and the homing of its ATM12s, loaded with HE ammunition and 1 extra ton for reload. A threat to both lights and heavies if given enough time, pilots should be aware of the long dead time between missile volleys making swift decisions on staying to maximize their DPS or jumping behind cover to give their launcher time to reload. This is best used as a close-range fire support unit or to surprise and smash other light Mechs with deadly barrages of ATMs. The quad CERSBLs are excellent for following up on an ATM strike; with a good pilot at the controls, the E can easily punch above its weight. The Puma F is a long range harasser with it's EOptics capable of removing components, slowing other variants in their path making them think twice about where they are heading and generating Cbills in the process. With three CUAC2s for anti-air and light Mech disposal, the Puma F can deliver eight seconds of uninterrupted fire out to 1200m. Though the output damage of each individual CUAC2 might be low, combined - and with three extra tons of ammo - the Puma F can really put the hurt on. Once your target steps into the 900m range, the singular CERLBL can inflict a pinpoint 692.31 points of damage at the expense of higher heat. 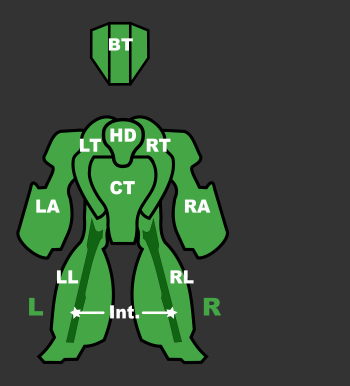 Like all Pumas, the center torso Flamer makes short work of any Battle Armor foolish enough to attack it from the front and to overheat your enemy while blocking their vision. The Puma G is a flamer boat on steroids. Sporting an impressive array of four(!) Flamers, this Puma is made for overheating enemy Mechs into self-destruction. In fact, with that number of flamers it's possible for players to effectively chain or group fire their flamers so that some of them cool down while the rest still effectively overheat their victims with a non-stop stream of flames. Since forcing an enemy Mech into blowing themselves up gives the Puma G's pilot little c-bills for the effort, a CLBX10 and 2x CMPL provides respectable enough firepower for the pilot to chip into the damage dealt pool and reap some of the kill money. One of the cheapest Puma, just a moderate donation outside of starting money, it's a good choice for an early game flamer boat with reliable backup weapons for the times when it can't charge into the extreme short range required to burn up the enemy. 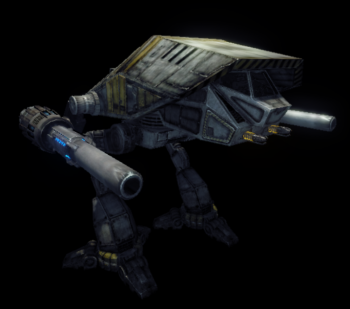 The main downside of the Puma G is that while a light Mech, it's one of the slowest ones and it doesn't have any mobility enhancing or radar masking equipment to make its approach easier. A quad of DHS is enough insurance that pilots will overheat their opponents way before they overheat themselves. The Adder, nicknamed by Inner Sphere forces as the Puma, is a light and fast OmniMech which was designed to emulate the weapons configurations commonly seen on IS medium 'Mechs. As a result, it carries a far more potent load of firepower than its tonnage might suggest. Originally designed by Clan Star Adder in preparation for the invasion of the Inner Sphere, the Clan was not able to retain exclusive rights to the design, and by 3045 it had become a common design throughout the Clan military. Used primarily as a fire support unit, the Adder/Puma devotes nearly half its tonnage to modular weaponry, providing easy modification for a variety of roles. The prime configuration, marrying twin ERPPCs with the finesse of an advanced targeting computer, is deadly at almost any range, but has issues with overheating. This page was last edited on 18 February 2019, at 19:47.